On November 21, 2013 at “Kim Bong Hyun’s Hip-Hop Invitational 1st Anniversary Broadcast,” B-Free criticized Rap Monster and Suga — and BTS as a whole — for not being true hip-hop artists, for wearing make-up “like women,” for succumbing to the “temptation” of going mainstream, and for using Kanye West’s “Black Skinhead” as if it were their own song in their concept trailer. He also makes fun of Suga’s stage name and the English abbreviated version of their name, BTS. After all, Bang-tan So-nyeon-dan would technically be BTSND if every letter were accounted for — or BS if we just considered each word — but we see why that didn’t fly. So. Many. Problems. Especially when you add in that B-Free made all these comments without knowing who Rap Monster and Suga are, or having listened to any of BTS’ music. So let’s give him the consideration he didn’t extend them, shall we? 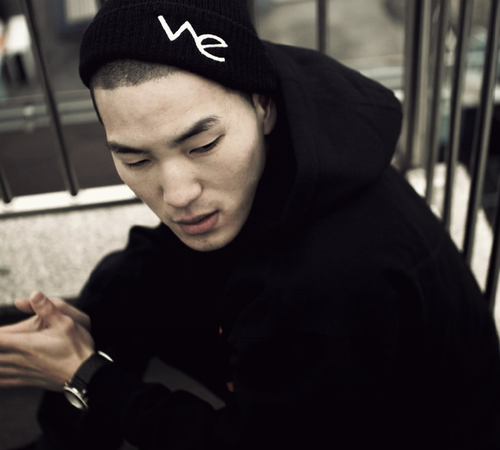 Originally from Hawaii, B-Free came to Seoul after high school and ended up staying, though based on his comments it’s not clear if that was a voluntary decision on his part. From what he’s shared, he likely didn’t have the easiest time considering he spoke little Korean when he first arrived in South Korea and served in the army despite being raised outside of the culture (I know he’s not the only one, but it still couldn’t have been easy). He was first introduced to Korean hip-hop during army service, and entered the industry after leaving the army. He’s signed to Palo Alto’s Hi-Lite Records, a formerly independent label now owned by behemoth CJ E&M, which is also home to rappers Okasian and Reddy among others. B-Free has a well-documented dislike of K-pop idols and the idol system, which he’s spoken about in interviews and rapped about long before and after the incident with BTS in 2013. He’s far from the only person to find the manufactured nature of K-pop at odds with the counterculture origins of hip-hop, but he was the only person at the Hip-Hop Invitational that day who went after Rap Monster and Suga repeatedly based only on their idol status. And that’s where the burn didn’t land – there are plenty of idol rappers who know very little of hip-hop’s background and have no appreciation for lyrical construction beyond rhyming words, but does that describe every single idol rapper or idol hip-hop group ever? Hardly, and certainly not BTS. As explained in this Radio Palava article, knowledge is one of the fundamental aspects of hip-hop culture (other components are rap, breakdancing, DJ-ing and tagging/graffiti art), and it thrives on criticism. 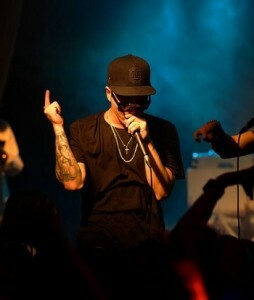 But “if you bring a critique, you need to ‘come correct,’ with enough knowledge to make the critique you want to make, as well as an understanding of what the appropriate way is to make that critique.” Which is to say that while B-Free may have had valid concerns on idol rappers in K-hip-hop, he failed spectacularly in his critique. With almost no prior knowledge of BTS, and attacking with the most basic, criticisms of idols wearing make-up and singing for girls, B-Free did not come correct. There’s no need here to elaborate on BTS’ dual idol/hip-hop identity as it’s been covered many times before; both Rap Monster and Suga have spoken about their pre-idol rapper days and there are many other idol rappers who contribute to both K-pop and the underground scene. Rap Monster and Zico even focused their 4 Things Show episodes on their struggles to balance both worlds. BTS’ hip-hop bonafides have also been proved repeatedly, from writing and producing their own content to collaborations with hip-hop luminaries, releasing mixtapes and a steady stream of other creative content. They have also furthered the scope of Korean hip-hop with tracks such as “Sartoori Rap” which addresses subcultures and the Korean language. While many of these examples happened after the incident, BTS had already gained recognition for their songwriting skills in 2 Cool 4 Skool and O!RUL8,2? – enough recognition for them to be included in the same event as B-Free, notably. Furthermore, I have no patience in B-Free’s misogynistic and homophobic comments on wearing makeup and singing for girls – maybe it is just a consequence of the culture around him but he should still be called out for spewing hate. Not to mention, there’s nothing wrong with BTS covering topics that relate to them and their audience – remember that Zico gave Yuk Jidam the win in the second challenge on Unpretty Rapstar because of her creative lyrics on high school love? You’ll notice in the video that Rap Monster and Suga do not directly engage with him, nor have they in the time since – maybe it’s because they were out of their element, maybe just to keep it respectful considering they had only just debuted and B-Free was much more senior, or maybe because there was nothing to be gained as B-Free clearly wasn’t interested in them or their music and isn’t likely to ever be. 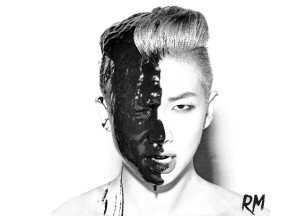 Rap Monster, for his part, did respond to the general issues raised in a few releases – a cover of Drake’s “Too Much” right after the incident and again in his solo debut “Awakening” – where he sets the record straight on his struggles, values and qualifications. So here we are, more than two years after the fact and B-Free decides the time has finally come for him to apologize. Interesting. Let’s take a closer look, shall we? Apparently he’s felt this way for a while now, but didn’t want to give into the “haters” by admitting he was wrong, so now that the issue is done and over with he’s ready to apologize. Plus footage from the initial incident was shown on an MBC documentary about Korean rappers the day before, so maybe that was a friendly little reminder? His apology is for attacking BTS and hating on them for living their lives. Meanwhile, he’s been living his life, even collaborating with popluar idol rapper Mino of WINNER fame on Show Me the Money 4 last summer but claims he’s done being a hypocrite and that he’s now grown and mature. Clearly not the kumbaya moment we were all hoping for. 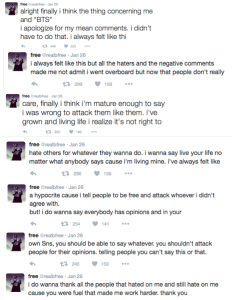 It’s obviously easy to dismiss B-Free’s apology when it’s presented like this, but this record doesn’t even include some of the worst of his responses (which are still online) — the fact is had B-Free actually exhibited the maturity he claims to have gained, he would have told inquiring fans that he did plan to reach out to BTS and ended it there. Instead, he let the same fans whom he was so quick to dismiss a few years ago get to him again and reacted in a profane, vulgar way. What does all this tell us about B-Free? As others have voiced in the comments of the original article, B-Free still needs to learn the accountability that comes with expressing an opinion. peripatetic polyglot. in love with all things Running Man, SuJu and Kim Seul-gi.